We call it Daun bawang in bahasa or scallion (english). when you hear the word scallion, surely that comes to our minds is salad mixture, mix vegetable soup and others associated with food and food preparations. Well, it is different this time, this time I would like to share information with you about the efficacy of the leek can be used as an alternative to chemical drugs treatment of a doctor. 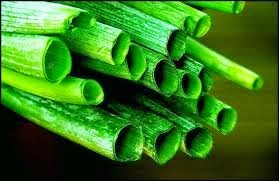 There are two types of scallion, onion is a lily (Allium fistulosum) or onion Semprong / flashing symbol and leek (Allium porrum) or leek. The first has a small bulb with round leaves, long and hollow like a pipe. The second one does not have bulbs with long leaves, long flat, and clay. Onion leaves contain many known saponins, tannins, and essential oils with the abortion, onion leaves are believed to relieve flatulence, coughs, flu, shortness of breath because of the flu, diuretics, diaforetik, joint pain and anti-inflammatory; eliminate swelling due to ulcers; and eliminate free insect bites.